Various industrial oil like lube oil, hydraulic oil, turbine oil, gear oil, compressor oil, etc, will get contamination during working process. To max with air, moisture in air, scrap iron from equipment, impurities, particles, free carbon etc, new oil will become old and unqualified fast. Unqualified used oil is very harmful machinery, engines, and lubricating systems. It will cause many problems the to engine systems, even worse to make damage to them. If so you will cost a lot to replace it with new oil and get rid of the used oil as rubbish, and this rubbish will pollute environment. 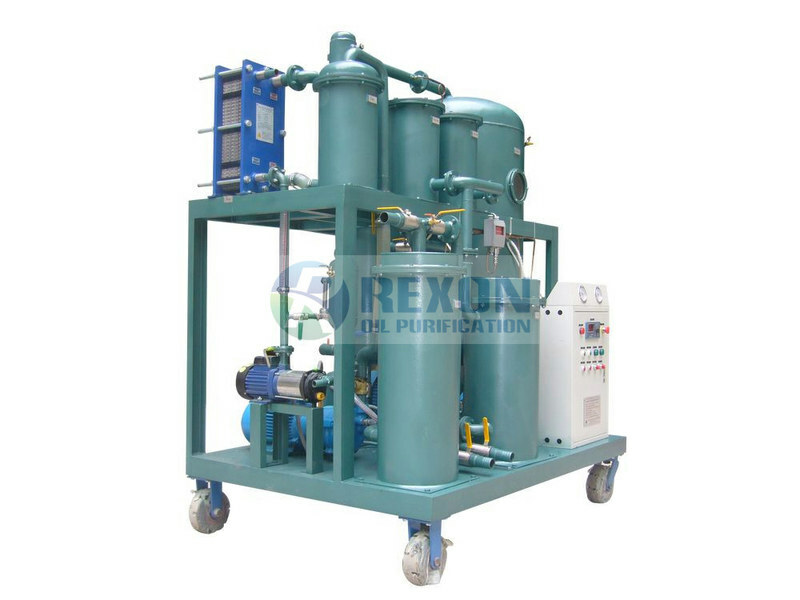 Our vacuum oil purifier machine is used for purifying any industrial lube oils. It takes vacuum dehydration system (remove emulsified water, all moisture completely) and 3 stages filters, and another coalescing-separation filter (remove large quantity of water fast) together to remove out the impurities,tiny particles and water/moisture, gas/air and all contaminants from the used oil completely to purify oil and cleaning oil. After treatment, the final oil's parameter and quality will be improved and comes out very closely to new oil’s standard. Under a regular oil purification process & treatment for your oil by our plant, the oil will be kept always in a good condition without such water, particles contaminants. Oil’s service time can be prolonged highly to meet it’s original lifetime, then you don’t need to buy new oil and replace used oil very often, and save new oil cost a lot. At the same time, good lube oil can guarantee the lubricating system/engines/machinery working normally and also prolong these equipment's lifespan, you don’t need to worry any problems may happen caused by unqualified oil cause to the machines or engines. So directly benefit, it can save a lot of your new oil cost and help you keep a green environment from the waste oil product.